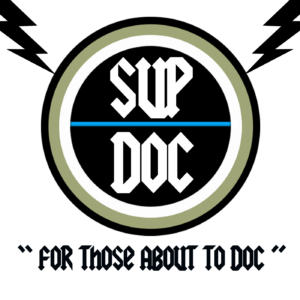 It’s MAYhem Month on Sup Doc! 3 Great True Crime docs! #MAYhemMonth continues with the #TrueCrime doc CROPSEY. Staten Island’s tight knit community was the site of a series of child disappearances throughout the 70s and 80s. This is the stuff of boogeyman legends! 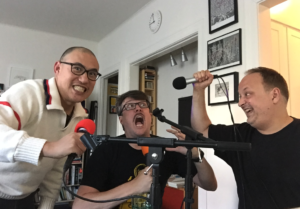 Hosts Paco Romane and George Chen recap the terrifying doc CROPSEY with comedian Andy Sell who co-produces the monthly storytelling show, We Still Like You. He co-wrote and co-starred in Comedy Central’s snapchat series Nostalgia-rama and is starting the horror movie history podcast Ghoul School on the Unpops network. Cropsey is a 2009 American documentary film written and directed by Joshua Zeman and Barbara Brancaccio. The film initially begins as an examination of “Cropsey”, a boogeyman-like figure from New York City urban legend, before segueing into the story of Andre Rand, a convicted child kidnapper from Staten Island. Andy Sell is a comedian, actor, and writer who has been obsessed with horror movies since he started watching them at an arguably inappropriate age. Born in Iowa, Andy graduated film school from a college in New Mexico that no longer exists and currently resides in the Los Angeles area where he co-produces the monthly storytelling show, We Still Like You. Andy has performed at comedy shows and festivals across the country. He has no representation but still managed to co-write and co-star in a Comedy Central snapchat series called Nostalgia-rama in 2016, and act in a principle role in the neo-noir feature film, Los Angeles Overnight (now available on Amazon). 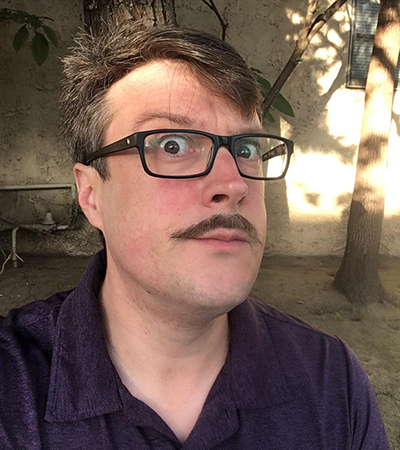 Andy worked for Ray Bradbury’s Pandemonium Theatre Company, has officiated four weddings, mains Junkrat on Overwatch (but will fill as healer), loves cats, and is candid about mental health onstage. He is followed on Twitter by some pretty cool well-known people despite not being verified, but doesn’t want to drop names (but like, you would totally be jealous). If you want to hear Andy (and producer and co-host Adam Tod Brown) talk about horror movie history, check out the podcast Ghoul School when it hits the Unpops network and the usual podcast places this June. Did the part about not having representation come off as bitter or just desperate? What about the Twitter thing, that was too much, right? Either way, he wants an agent. Please.